This uptempo Christian song, part of a multi-song project for this client, has Country, Southern Gospel and R & B influences. Threshold of Love is © 2016 Michael D. Rourke, posted by permission. If you’re interested in recording this song; using it in a commercial application such as in a movie or on a website; or singing it in a performing situation please let us know and we’ll forward your request to the songwriter and song publisher. “Miles And Miles” video released. Your song, our production= You Tube success! Dan Thompson’s just-released video of the song he wrote for his long haul trucker son who tragically died when he fell asleep and crashed his rig about two months after Dan wrote it. Dan and his band are “lip syncing” and “air guitaring” to the track the Nashville Trax A team played on. This video was made after Dan’s first trip here to record his vocals on three Dan Thompson penned tunes that producer, Bill Watson, arranged and produced prior. A simple-to-shoot-and-edit video like this can be posted on You Tube as Dan has done. It’s extremely useful for promotion of your live shows and adding fans to your database, or if you don’t perform, you can monetize the video itself and get paid for the short ads that run each time someone clicks on it. One of our clients has made several of these videos, hiring actors to perform in fairly elaborate videos to the tracks we produce of songs he writes. He has hundreds of thousands of You Tube clicks on several of them and has quite a successful business going. 2-23-16 Bill Watson (center) and Shawn Conley (center) producing/engineering Dan Thompson’s vocals on 5 additional tunes Dan (pictured left, in booth) wrote to complete the album. Dan has one more meeting to hopefully seal a distribution deal through Sony. Above: Dan Thompson performing at The George Jones Entertainment Complex in downtown Nashville on 2-21-16. Produced & Arranged by Bill Watson. The song and video of “Miles and Miles” is © 2016 Dan Thompson. It’s posted here for demonstration of production values only. Any other use is a violation of U.S. and International copyright laws. Play It Again Demos Rap Tune Testimonial Just In. Yet another satisfied client offers us an unsolicited testimonial regarding music recording work we’ve done for them! This time it’s Amarish Dave, a client Bill Watson first worked with toward the end of 2008, when he produced the first of four Amarish’s recordings to date. 10 year old female session singer, Samantha. Boom Buh Jinjee is © 2015 Amarish Dave and is posted here for demonstration of production values only. No other use is permitted. If you wish to record this song or use this production the songwriter holds all rights, including the right of first release.we will be glad to forward your interest to him. 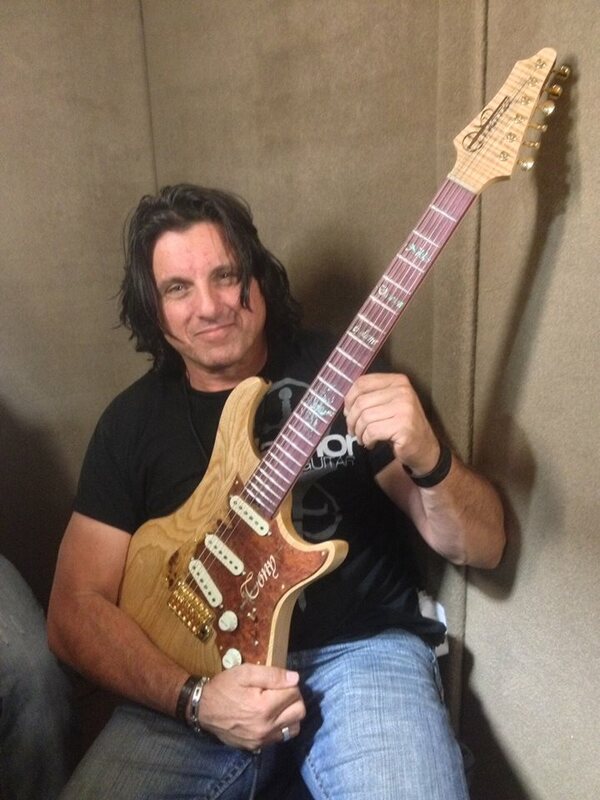 Pre-Production Started On 10 song album for Blues Guitarist Tony Pizzino. Bill Watson/Jack White co-producing. Pre-production has started for a 10 song album featuring blues guitarist Tony Pizzino and singer Grant Anderson. Bill Watson will be playing bass on it, as well as co-producing with Jack White, who will also be playing drums. Tony is flat out amazing on blues guitar and Grant has a unique, totally awesome voice that naturally leans toward blues They’ve both written some excellent songs for the project. Bill, Tony and Jack recorded test rhythm tracks back in August. Update: This album is in progress. Several songs have been tracked and a Christian spinoff project is underway with a song titled “Finally Free” tracked and rough mixed, and another titled “Into The Light” being co-written by Bill and Grant. Crows’ Run Band, began performing with four pieces in the Pittsburgh, PA area during the 1970’s. The group typically played five to seven nights each week, but after only 15 months into Bill Watson’s first stint as lead guitarist with the group, and with plenty of work on the schedule, they disbanded for a period due to personal reasons. A few years later guitarist/singer, John Roebuck, reformed CRB in a three piece drums, guitar and bass guitar configuration that eventually saw Bill Watson return playing bass rather than lead guitar. Watson, who now produces music and plays on sessions for his Nashville, Tennessee based music recording business, Nashville Trax, soon began alternating between guitar and bass with lead singer/guitarist John Roebuck. Watson, predominately on bass, would sing 3 or 4 songs per set, switching briefly from bass to play guitar while singing. CRB achieved a degree of local notoriety during the 1980’s with Paul Dennis in the drum chair. They won a local band contest in spite of competing against bands as large as six pieces. They also released a cassette album mix of originals and cover songs, one of Watson’s first producing efforts. After five years with that configuration, Watson left the group, forming The Billy Elroy Band with Watson on lead vocals and guitar, Don Plum on bass guitar and vocals and “Stitz” (Forrest Stolz) on drums. The Billy Elroy Band went on to moderate success, working steadily for four years, developing a sound that featured intricate vocal harmony, but it was without Plum, who dropped out early, replaced by Butch Curry on bass and harmony vocals. Plum wouldn’t work with Watson again until the band Sidewinder was formed by Watson and drummer, Jimi Miller, in the early 90’s. In 1991 Bill Watson returned to The Crows’ Run band for the third and final time with Watson on bass guitar and the talented Mike Thellman playing drums, creating a thunderous rhythm section to complement John Roebuck’s powerful vocals and unique guitar playing. But after only a little over a year into the third go-round of performing in small bars, clubs and the local nudist colony, Watson, desiring to focus on propelling CRB to a level beyond the small bar scene, but meeting resistance, became unhappy. Eventually Watson and Roebuck parted ways, opening the space for Watson and drummer Jimi Miller to form the highly successful and exciting five piece concert band, Sidewinder, with Julie Peterson on bass/vocals, radio celebrity Jimi Miller on drums, Watson’s girlfriend (later his wife) Rhonda Watson, a recording artist in her own right, who would later tour overseas, on keyboards and lead vocals. Sidewinder was high energy, modern country, served up concert style, just as country rock was replacing traditional country music on radio stations. Don Plum initially joined Sidewinder on acoustic guitar, but later took Peterson’s spot on bass. Watson and Plum both continued with Sidewinder, riding the wave of success through various configurations, one with Watson’s cousin David Watson. on drums, until Bill Watson moved permanently to Nashville in 2004 to pursue music producing. Both The Crows’ Run Band and Sidewinder are still intact and performing in small bars and clubs in the Western Pennsylvania and Eastern Ohio area. Songwriter extraordinaire, K.C. Steele, a.k.a. Kami Stackhouse, has commissioned us to produce three more song demos. These will be country, no-holds-barred, full band style including drums, bass guitar, electric guitar, acoustic guitar, fiddle, steel and mandolin. One song may even get a banjo part! Awesome tunes! Producer Bill Watson is scheduled to begin creating the arrangements, choosing musicians and charting early next week.- T. M.
David Northrup Nashville Session Drummer, Click Here! Although I now produce music for Nashville Trax I started out years ago with a little 4 track cassette machine doing home recordings. I can relate to all the problems you’re experiencing in attempting to achieve a professional sound. One area you’re almost certainly falling short in is musicianship.Back in the day I programmed a drum machine, played bass guitar, then added a couple guitar tracks, then played keyboards, sang, added background vocals and voila, a one man band! It didn’t sound bad, in fact it was usually very good. I was a decent player, session quality on bass, and understood drumming to a degree. But there was no way I could play some of those instruments as well as a dedicated studio player who had focused on that one instrument for years, every day, eight to twelve hours a day. No way could I, a hack keyboard player at best, get a sound out of a $500 keyboard that equaled the tone of a pro player’s $5,000 keyboard, let alone play it near as well. No way could me playing bass to a drum machine match up with a rhythm track created by a session quality live drummer and bassist. Drum machines or drum loops will never deliver the feel and expression of a live drummer playing a custom track on your song. There are plenty of articles out there about how to mix, how to use EQ, etc. all saying “this is what you do to achieve a great sound”. but if you don’t have groove, pocket, pitch and the basic musical elements, you’ll tweak those knobs until ten days after the world explodes and never get that pro mix you’re looking for. Here’s my tip: Start with pro musicians. If you play, play your best instrument and hire the rest. Not only will you have trouble making your $500 bass match up to the tone of a $5,000 professional grade instrument, unless you focus on bass guitar to the exclusion of almost everything else in your life, you’ll likely come up short on the performance: the tightness, the note selection, the groove! You most likely can’t and won’t deliver the definitive performance the song you labored over deserves. If $350 microphones through a $500 preamp typical of the gear used in a home recording sounded as good as a $10,000 microphone through a $2.200 Avalon into $10,000 of software in a vocal chain, no one would buy a $10,000 mic or Avalon or expensive software. But they do. Think about it. This shouldn’t discourage you, this should encourage you: Just like great quarterbacks don’t play defensive tackle, few people are a one man band and when you get to the “big leagues” of music, almost everyone is a specialist. What I learned when I moved to Nashville is that live playing and session work are two very different animals; some people are born with a rare talent to play perfectly in pocket, all the time, every time. Many great live players who are good enough to play for major recording artists are not session quality players. So if you’re doing everything yourself, or using your live band’s local drummer to play on your tracks, it may be fun, it may sound “pretty good”, but it probably won’t give you a truly pro recording. I do understand you want to produce your project at home or you wouldn’t be reading this post, you’d be reading the one that explains why the smartest thing may be to let me produce your track start to finish. You probably want to play on it, and I know you want your hands on the buttons. But strong caution: if you want a pro sound, if you want to truly compete with demos where specialists are involved in every step and hundreds of thousands of dollars of equipment are used, choose your best instrument or two and hire session quality players for the remainder. These days you can do that right over the Internet. Need a session quality drummer? Simply click here. In fact, the rhythm section is a huge factor in determining how pro a recording will sound. If you play guitar and/or keys then I think you’d be wise to order a session quality drum and bass guitar track, then use that firm foundation to build on. Even better, hire out a basic rhythm section of rhythm guitar, drums and bass guitar, then build your project on that, adding acoustic guitar, keys, lead guitar and other instruments. And if your song needs other instruments, they’re easy to add also! Perhaps the biggest decision you’ll make on any song as a producer is choosing the right singer. In my opinion, the singer IS the song! You need a great one to put your song across. You know as well as I do that while you might “sing great” you aren’t the right choice for everything! Keep this link in your back pocket: Vocal Tracks Online It may bail you out the next time you are trying to record a tune and know you don’t have quite the right singer available. Guess what? Even with unlimited tracks and a state-of-the-art recording platform I still came up short. It’s probably not more tracks you need. In fact, it’s not any one thing, it’s almost everything! It’s skill, experience, musicianship, outboard gear, microphones, the rooms you record in, your mixing skills, your tracking skills, your experience with arranging, your musical knowledge, microphone placement…man, I could go on for days…okay, minutes at least, lol. For most home producers, their greatest weakness, their biggest downfall, is mixing. They don’t have the experience, the room, the gear, the expertise, training or more importantly, the ears, to mix at a pro level. So even if you choose to do the one man band thing or hire local live quality musicians, you might want to consider hitting this link for your mix. As far as arranging a song, the first hurdle is to be sure the songwriting is sound. If your chorus sounds almost indistinguishable from your verses you need to do some rewriting. Arrangement can certainly enhance chorus/verse separation but it shouldn’t have to carry the ball by itself! I may introduce a new instrument at the chorus but I want the note values in the melody or the number of bars on each chord…something inherent in the song structure, to change! If you play the song on acoustic guitar do listeners know when you hit the chorus? Another good arranging tip: Cover the entire musical spectrum somewhat evenly. How even can vary song-to-song but if you have a ton of guitar tracks and other mid-range stuff, consider helping the cymbals out with a high pitched keyboard pat or a mandolin EQ’d to favor the high end, etc. panned to a different space in the mix than where you’re placing the cymbals. Typically the overheads are panned hard right and hard left so maybe place your mando at 2 o’ clock….experiment to see where it sounds best! You also have to be very careful there aren’t any “dogfights” going on. That’s where the guitarist and the bass and the sax player are all trying to fill the same spot or worse, playing on top of the vocal. For the most part melodic fills should be played only in between vocal phrases and by only one instrument, unless two instruments are doubling the same part or playing in harmony. My songwriting collaborator, Amesh David and I, have agreed to move forward on a master session recording and video of our pop song Silence Is Full of Sound. I produced demos on 3 songs we wrote together and, this past weekend, we decided Silence is worthy of further copyright exploitation. We will begin seeking incremental funding within the next 30 days. More details will be posted as they become available. The post will demonstrate the steps you can take to use a good quality demo costing hundreds, such as one made at Play It Again Demos to fund a master project costing thousands. Produced and Arranged by Bill Watson for Nashville Trax and songwriter Dan Mathews. How about that singer? Clear and emotional, she can put a song like this across! Why not your song?. Pro demos make everyone- friends, family, artists, record company A & R and music publishers- take notice. Have 3 or 4 pro demos to peddle and they’ll brand you as a pro-level songwriter every time you pitch them. We would be thrilled to do that for you! If you would like a quote on making a professional version of your song simply drop an e-mail with your MP3 rough version attached to: nashtrax@bellsouth.net with the details of what you want. We’ll likely bat a couple e-mails back and forth before we figure out an exact price. It can be completed over the Internet or you can be present for the entire project. Write in another style? There are more samples of work to your left in Categories > Samples of Our Work. We do bluegrass, rock, country, pop, rap, hip-hop, blues you name it!